Happy July 4. We are lucky for our freedom to do whatever we want to do, and we're so immersed in it that we don't appreciate it. Let's think about it today. 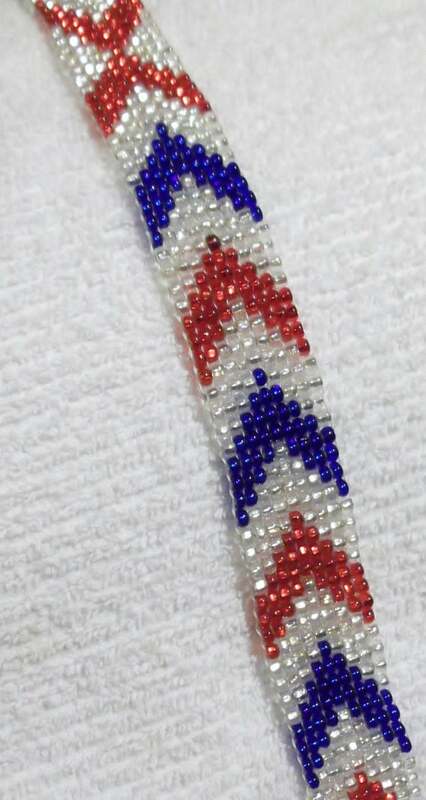 I have a surprise related to Woven Beads Browbands (Silver-lined Ruby, Sapphire and Crystal Chevron Woven Beads Browband, Size 16 inches) that I will share later, but for now enjoy this awesome red, white, and blue browband. 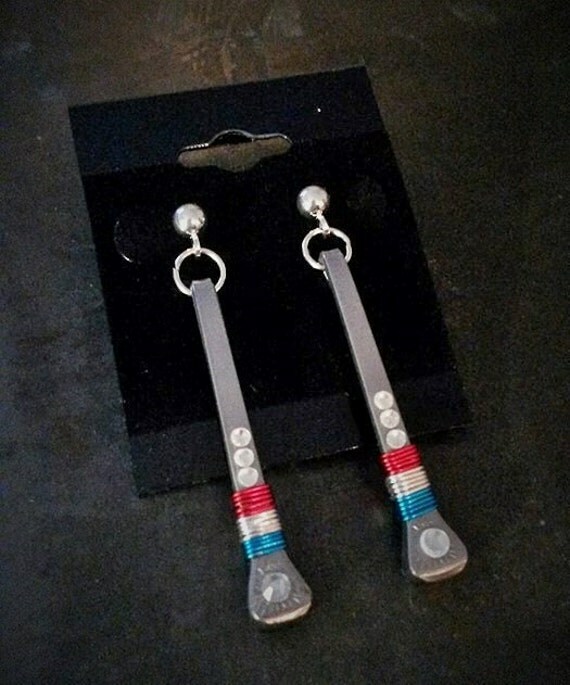 I also need to share these patriotic horseshoe nail earrings, from an Etsy store I don't know well -- Kowboy Kim's Design. Are these not lovely? I haven't really gotten enthused about any of the fancy brow bands – until this one. Would it not be perfect for my dressage Made-in-America Mustang?? ?